We offer communion on the 1st and 3rd Sundays of every month at the 8am & 9:15 services and every week at the 5pm Saturday service and Sunday's 10:45 service. 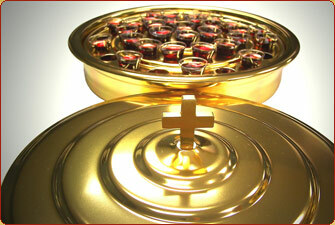 You are invited to participate as a communion assistant. All that is required is that you have a caring heart, a willingness to occasionally bless the little ones and that you are confirmed.